Keitech's "Crazy Flapper" You would be crazy not to try it. 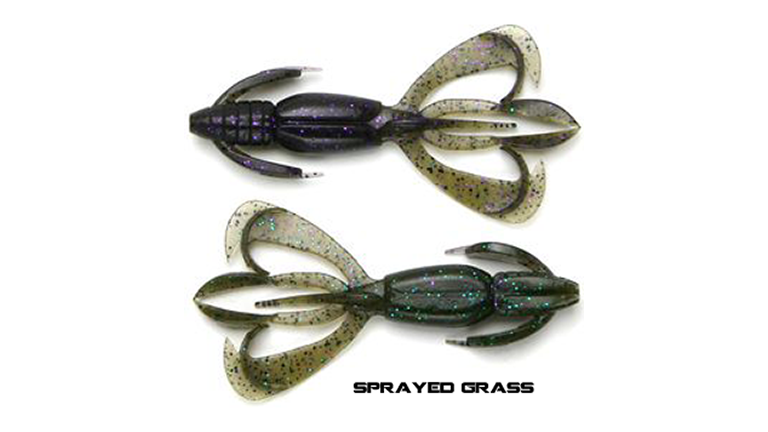 The "Crazy Flapper" is available in 3 great sizes to match your fishing needs. The "Keitech Crazy Flapper" can be Texas rigged, used on the Dropshot and makes a great Jig trailer. The "Crazy Flapper" is dual injected using different types of PVC plastics. This gives the "Flapper" the perfect design to slither through cover while the claws and tentacles flutter seductively following the slightest movement. This allows the angler to use less weight, slow down the fall and keep the bait in the strike zone longer.